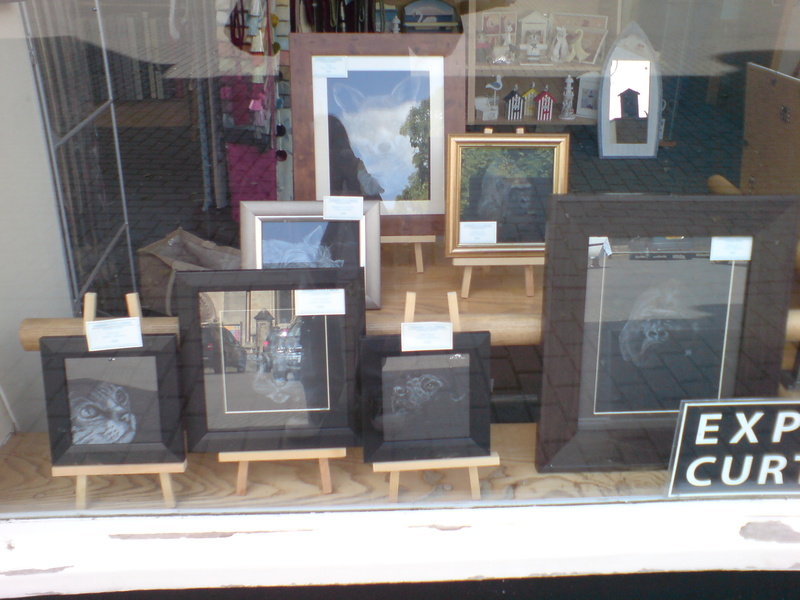 I have a display of work in the window of Soft Options in the Market Place in Sleaford. I’m very grateful to have the chance for my work to be seen locally. 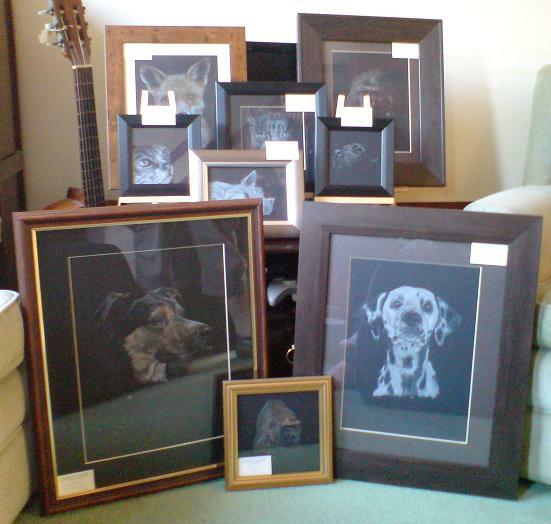 It’s hard to tell from this quick snap which drawings these are so below is a quick snap I took of them on display in the living room yesterday. Still hard to tell, I know!